We are real people who stand ready to help you gain the support you need! 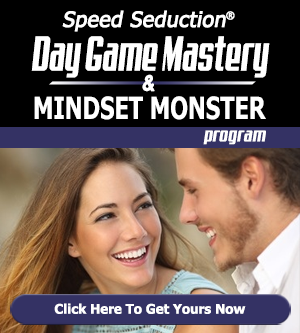 Congratulations on your wise decision on get over 28 years’ of girl-getting teaching and mastery on your side and in your corner with Ross Jeffries and Speed Seduction®, starting right now! We are real people who want to help you. Ross Jeffries is dedicated to helping smart guys like you, succeed with the women you TRULY desire, and his team are dedicated to making your experience with us run smoothly and getting you the support you need. Current customer needing assistance logging into our exclusive Members' Area for courses or coaching? E-mail vaultsupport@seduction.com for fastest response. Do you have a specific question about a situation you’re having with women (or a particular woman) right now? You will want to check out our Elite Student Mastermind Program. Want to work one-on-one with Ross Jeffries as your teacher and mentor? Click here to learn more and get started. To engage Ross Jeffries as a keynote speaker or trainer at your next event, or as your next AMAZING radio or podcast guest: visit Ross Jeffries' speaking and booking website. For Media Inquiries and Interview Requests: e-mail rj@seduction.com for fastest response.